I sure wanted to keep Christmas in my classroom and had fun in the process. This is just one little bulletin board but we had fun with the lights and talking about Christmas wishes- wishes of not GIMME GIMME and I WANT but what it would look like if everyone had a warm bed, a house, a car to drive...etc etc. How did you keep Jesus in your classroom this year? The presents have been unwrapped and travels to and from are all complete. Still trying to get some rest in before going back to work next week but have a huge to do list of things I want to accomplish before than! First let me recap our Minnesota and Wisconsin trips! 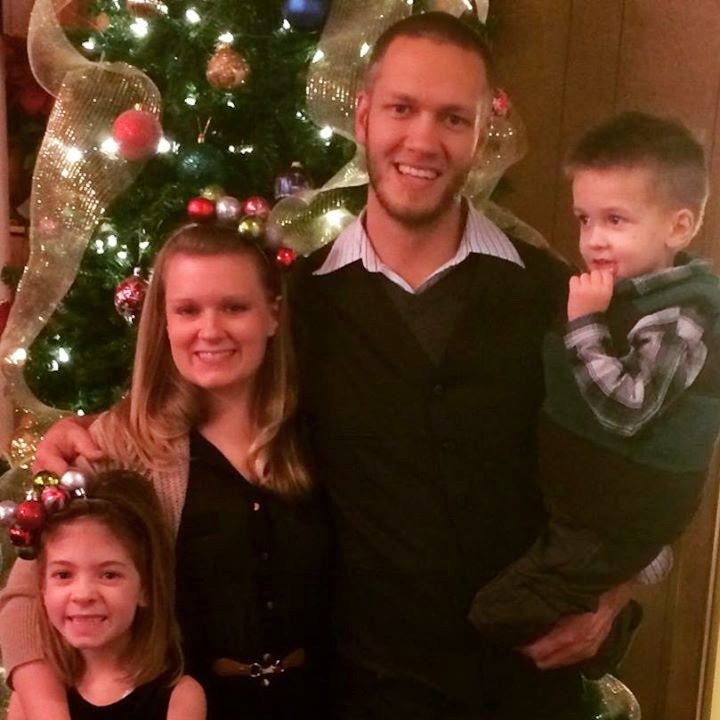 We first drove to Minnesota and spend some time with my husbands family. It had been several years since we actually got to spend Christmas with any of them so this was extra special this year! We truly enjoyed each other and played some fun games and ate some great food! Next was Wisconsin and thankfully the drive was not very long! We went to my dad's house and again ate some great food, played some fun games, and even baked some cookies. Time went extremely fast but seeing family is so important to us all! Since I am the one who lives the furthest away it always seems to be hard to get to other family events. I sure miss my family! I have seen these ornaments for the last couple years and I finally took the time to make them. It was fairy simple but, this activity is more for the adults or older children. What I did: -Used a butter knife to get crayon shavings -Kids help put shavings in the ornament -Used a hair dryer to melt crayon shavings. I loved loved loved Great Grandma's present to my daughter this year! Some of you probably read my post after Thanksgiving sharing a cute picture of my daughter and her Great Grandma baking. During Thanksgiving they made some cookies and I took a couple adorable pictures! So Grandma printed one of the pictures and pasted it in a junior cookbook and wrote my daughter a lovely letter! It will be a treasured item for many years to come! Good job Grandma on a great gift idea! 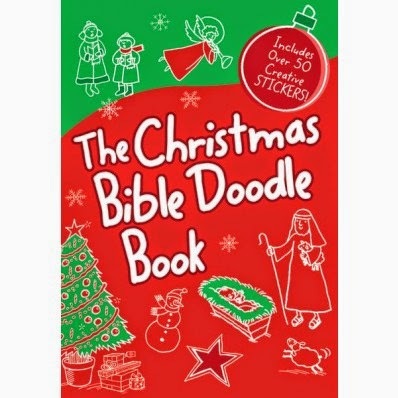 With more than 50 stickers and loads of unfinished scenes, this Christmas Bible Doodle Book invites kids to get sketching. Activities include dot-to-dots, Scripture fill-in-the-blanks, step-by-step directions on drawing angels, poinsettias, and more, plus plenty of prompts and space to practice---just add pencils, crayons and imagination! Let me be honest and I wanted to do this more than give it to my kids! Thanks Zondervan for sending me this book in exchange for an honest review. I was not paid for this review and all opinions are 100% mine. As much as I wanted to hide this book for only me to have fun my daughter is currently sitting next to me doodling on many pages! She is having fun and I am enjoying watching her draw and imagine. 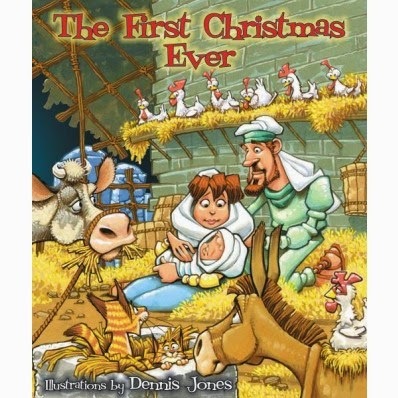 The beginning of the book also covers the scriptures of the Christmas story so we can keep Christ the center of this season! 2014 was a fast year with many projects completed. We officially have been in Iowa for a year in June! 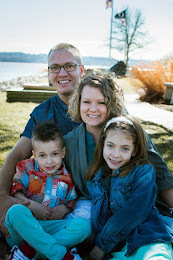 We have fallen in love with our small and quaint little town but enjoy the fun in the Quad City area area as well! 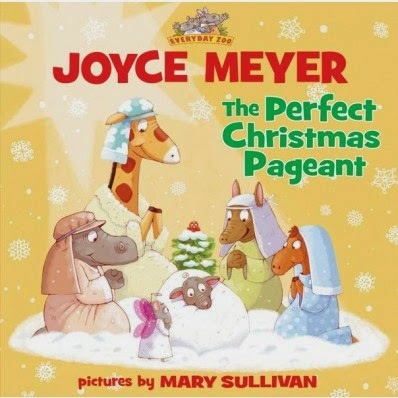 The popular Everyday Zoo series for young children by beloved and New York Times bestselling author Joyce Meyer continues with The Christmas Pageant, a heartfelt and humorous story about the true meaning of Christmas. 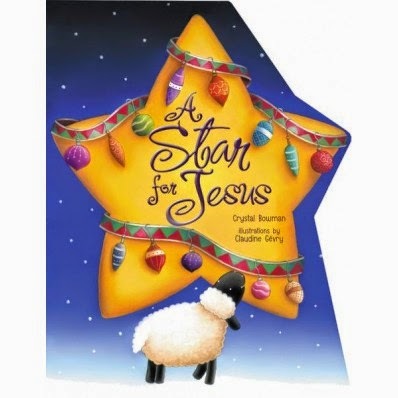 When Hayley Hippo is asked to direct the annual Christmas pageant, she decides this will be her Christmas gift to Jesus and she sets out to make everything perfect. However, after a series of disappointing mishaps, Hayley and her friends learn that they don’t need to be perfect. They realize that Christmas is not about the glittering lights, the perfect setting, or an impressive show, but about Christ. Many of you have seen my other reviews on Joyce Meyer's children's books, "Which Way to Prayer" and "Field of Dreams." My kids have become huge fans of the Everyday Zoo characters that Joyce has created and are constantly asking if there is a new book in the series. Tis the season to be Jolly!!!! I took that to the next level this year and made a DIY ornament headband for my daughter. Let me be honest... I waited till the night before her school Christmas program to go dress shopping and so my daughter and I were out shopping till 9pm and then I still got home and made her this adorable Christmas ornament headband! CRAZY only a little bit... LOVING my sweet girl is worth it. If you own a hot glue gun then this headband is already half way done! Pick up some smaller ornaments and plug in the glue gun and start decorating the headband. I ended up making two because it was fun and I thought they were so adorable that I plan on wearing one next week before we are on Christmas break. Make it as simple or as crazy as you want it to be. Use different sizes for an added dimension! A huge thank-you to Oriental Trading for sending me these items in an exchange for an honest review. I was not paid for this review and all opinions are 100% mine. One thing my church does the first week in December is play an active role in the community for the annual Christmas Walk. During the Christmas Walk all the business's pull out deals and other free fun to get more people in town and shopping in the stores. YOU CAN LOOK GOOD. AND FEEL GOOD. BANDED™ is different than other no-slip headbandsYou’ve got headbands…one that stays put through an entire workout, one that fits comfortably all day, and one that is fashionable. Unfortunately, you don’t have one headband that does all three at the same time. We created BANDED™ no slip headbands just for you. Quite simply, we provide a better headband product for women than any other product on the market. My kids have sat down with this book just paging through the pages in awe of the splendid pictures. 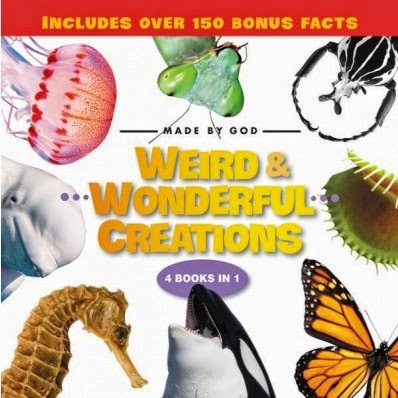 This book is one that is going to keep your son or daughter busy for some time... which is always a positive when it is a book and involves learning and God. Tension aches and headaches are a big problem for many people, and they can interrupt life on a daily or weekly basis. Most people just take an over-the-counter pain relief medication to treat the aches and pains, but this is merely treating the pain, while eradicating the problem will take some deeper treatment. Taking over-the-counter pain relievers regularly on a long-term basis can have harmful side-effects to your digestive system. Here are a few remedies that can help eradicate muscle tension and headaches, when done proactively and over the course of time.